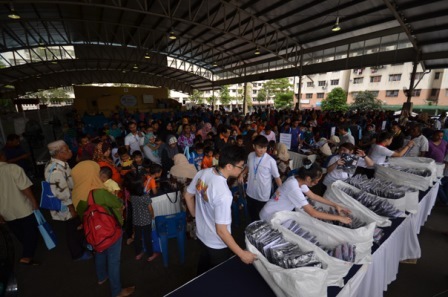 UOA organised a Back-To-School campaign to distribute brand new school uniforms to more than 500 primary and secondary school students from low income families in the vicinity of Bangsar South. The event was held in December 2016 at the Taman Bukit Angkasa community hall located next to Suria Bangsar South – a community centre operated by Soroptimist International Club of Bangsar (SICB) and sponsored by UOA. An educational talk on cyber safety for children with a focus on the risks and methods of self protection was also held with the support of CyberSecurity Malaysia.